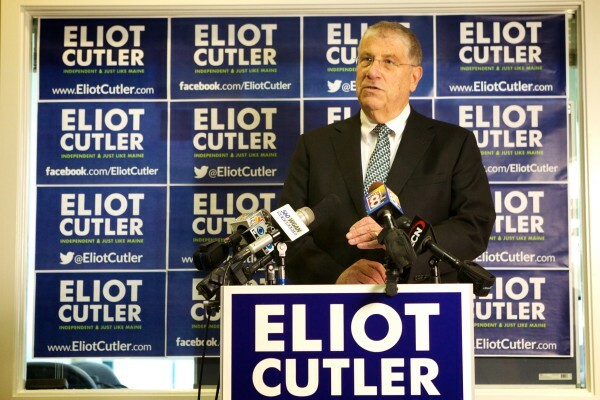 Gubernatorial candidate Eliot Cutler spoke to the press in his Portland office on Tuesday saying the back-and-forth between his opponents is an indication that neither can win the election without facing him in a debate. I recently had the honor of participating in a voter education workshop at the Maine State Prison set up by the Maine NAACP. Representatives from Maine’s three official parties, the Democrats, the Green Independents and the Republicans, were invited, and I represented the Greens. In order to prepare for my presentation about the Green Party, I had occasion to review our party’s platform and guiding principles. We were asked not to discuss, much less promote, any specific candidate but rather to respond to the attendees’ questions in a way that would exemplify how our party would address the issue raised by the participant’s question. There was genuine and enthusiastic interest in registering to vote and understanding the issues that are important in the upcoming election on the part of the men who came to the workshop. It is certainly to Maine’s credit that we are only one of two states — the other being Vermont — that allows those who are incarcerated to vote. After the formal workshop was over, we mingled with the men for awhile, and I had the opportunity to speak with most of them. There was a lot of enthusiasm for the Green Party platform, and a constant question was, “Which candidate for governor is closest to your party’s platform, and why?” Personally, I intend to vote for Eliot Cutler, but the question put me on the spot and forced me to think hard about those issues most important to me and to my party. Thinking about environmental issues, Eliot has a number of pluses in his column. As a D.C. staffer, he helped the late Sen. Ed Muskie draft the Clean Water and Clean Air acts, the cornerstones of environmental protection not just in Maine, but in the entire nation. He would immediately enforce the Maine Kid Safe Products Act, whose implementation the current governor has stalled. As someone who regularly appears before the Maine Board of Environmental Protection, I fully appreciate Eliot’s plans to replace that volunteer board, consisting mainly of non-scientists, with a professionally staffed, three-person administrative court, as the first stage of judicial appeal of a commissioner’s decision. And Eliot supports beginning a conversation about the potential for multiple simultaneous recreational uses in the North Woods, possibly including a national park alongside a national recreation area, a process that should be led by local folks. Reproductive choice is another key part of the Green Party platform and one where Eliot distinguishes himself from his two opponents. Eliot has always supported reproductive choice, while neither of his opponents can make that claim. And given the increasing handgun violence that we are seeing throughout the country, it is notable that Eliot is the candidate endorsed by Maine Citizens Against Handgun Violence. Campaign and electoral reform are issues of great importance to smaller parties like the Greens, and Eliot is the only candidate even discussing these issues. That is not surprising, since both of the corporate parties have a stake in propping up the current system of elections and campaign finance. However, Eliot supports a change to either ranked-choice voting or an open primary in the gubernatorial election since; in either case, the candidate elected as governor would have received over 50 percent of the vote. Eliot supports strengthening the Clean Elections law and regulations, and he is the only candidate for governor who does not take PAC money. The other candidates have each taken hundreds of thousands of dollars in contributions from large PACs and are likewise benefitting from even more so-called “independent expenditures” from these PACs. I, for one, do not want a governor who is beholden to so many special interests that he can’t count them on two hands. As former state chair of the Maine Green Independent Party, I believe that Eliot Cutler is the only candidate who meets these standards and I am proud to support him. Lynne Williams is a Bar Harbor attorney and former state chair of the Maine Green Independent Party.